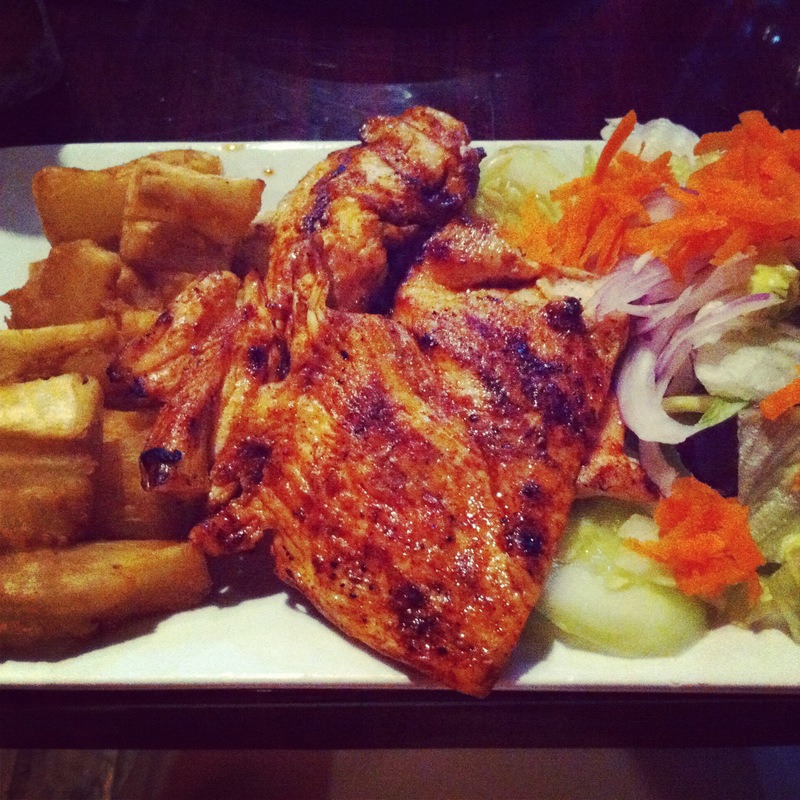 As we entered Acuario, we were greeted promptly by a host and the aroma of flavorful food. Browsing through the packed house, we glanced at the entrees on each table. There was not one that didn’t appeal to our taste buds. We were excited to sit down and sample the fresh bread and green sauce that admired from afar while waiting. Unfortunately, when we sat down we were told the bread was done for the day. Our waiter tried to make amends by offering us cancha (think popcorn/corn nuts) which was tasty, though not the same as bread. Fortunately, things started to look up quickly as our food began to arrive. 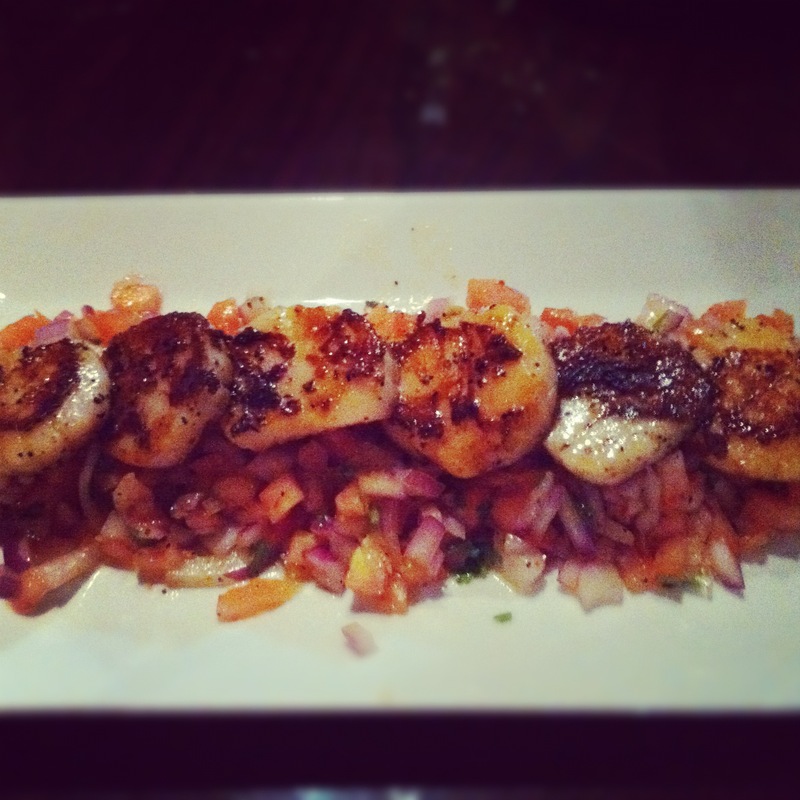 She says: “The scallops were the perfect way to start the meal! They were tender and perfectly spiced; the pico de gallo-like salad they sat on added a refreshing kick and the perfect veggie balance. It’s a good thing he shared! Chicken was tender which made it easy to cut and enjoy. 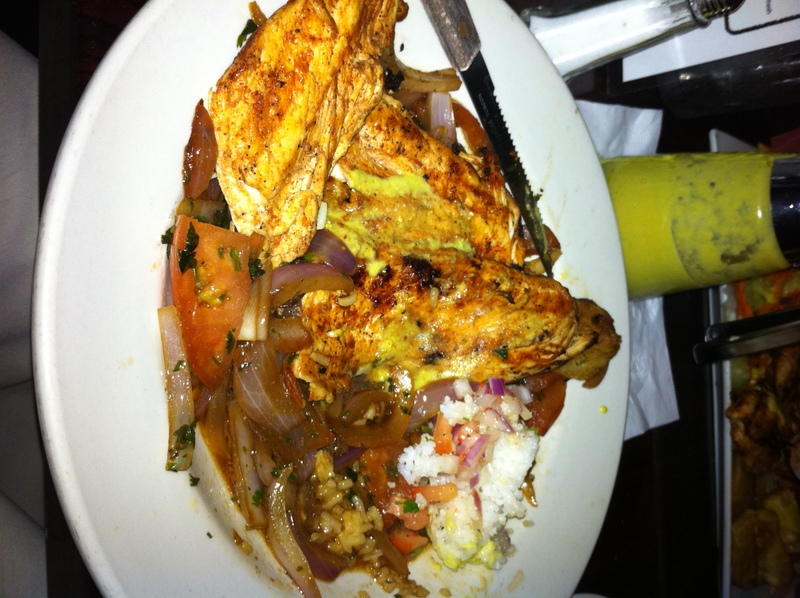 The tomatoes and rice over the chicken along with yuca on the side made for a very delicious entree. I added the green chili sauce for an extra kick. The portion was a good amount as I actually became full from the entree, which rarely happens. We couldn’t leave Acuario without dessert; our taste buds were in the mood for a little sugar and the NBA playoffs were on. 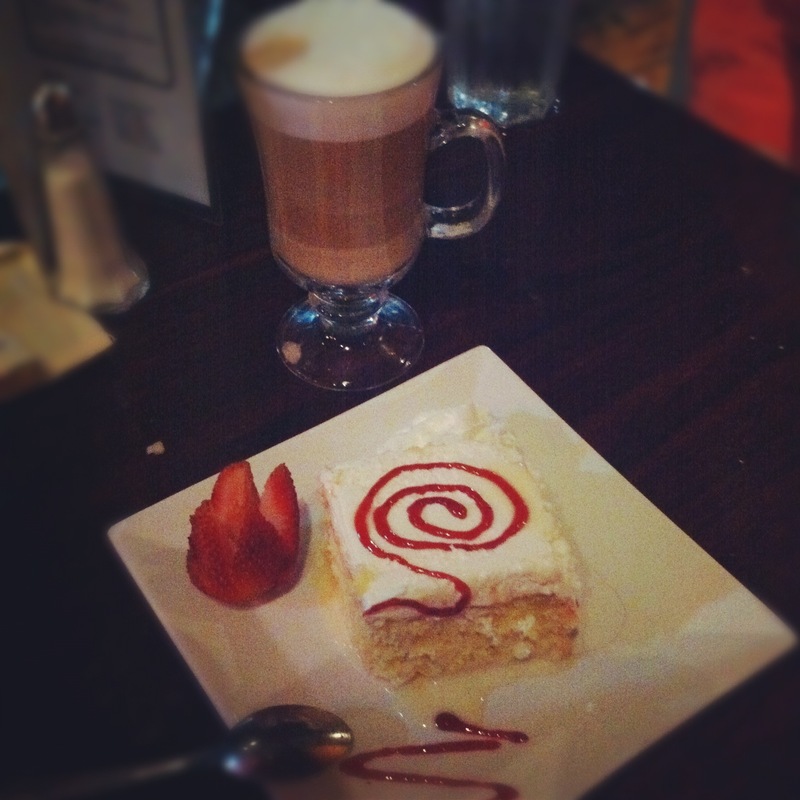 Since half of Foodie Pleasure had never tried tres leches, the decision was easy… cake to share and cappuccino for her. Like tres leches must be, our cake was moist and delicious, sweet but not too sweet. In fact, he was so impressed that he almost ordered a second piece! Guess we’ll have to add tres leches to our list of desserts to sample when available. We liked Acuario for the size of their portions and great service; our waiter was attentive and made small talk without being intrusive. The meal would have been perfect if not for the lack of bread early on. Hopefully next time, Acuario will plenty of bread on hand. We’ll definitely be back to try the ceviche and for more tres leches!